Valve had a small update on September 16th, where some unimportant stuff happened. When I first scrolled through the sparse update notes, seeing ‘bug fixes’ on item descriptions of cosmetic items, I was already thinking, whatever, it’s another one of those updates, nothing to see here. Well, it’s hard to say. I know why I’m doing it; I was one of its biggest proponents before defending it was cool. I’ve written two posts already about how it dominates certain custom maps, and I have loads of fun with it even on most official maps. So my ultimate opinion? The loss of stickies 3-8 is a shame, but I just had a blast on granary with the new Sticky Jumper, and my backcapping ability on badlands doesn’t seem bothered. While this nerf didn’t make the weapon better in any way, I haven’t found it to be ruined either. It’s just that, well, there are bigger fish to fry at the moment, Valve. Certain weapons are more obviously unbalanced, and others have little to no cost of equipping. 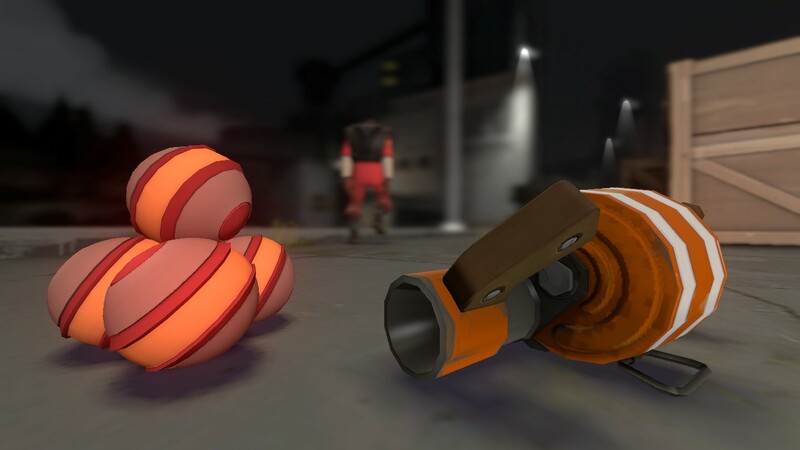 Sticky Jumper had a huge downside inherent; you’re trading the most devastating and powerful weapon in TF2 for a mobility tool. Isn’t that downside enough? Guess not. And in case you’re curious, you can pretty much ignore my guide to balloon_race now. I’ve managed to make each jump with only two stickies (except the jump from 3rd to 4th) but it’s WAY more difficult now, and screwing up anything is certain death. Stay tuned for tomorrow, where we’ll be having a guest post from our first ever repeat submitter! But who is it? ONLY ONE OF YOU KNOWS. “Demoknight, Thou Shalt Not Increase Thine Turn Radius” A Plea From a Broken Sword The Scotsman’s New Skullcutter Demoman got nerfed, but FAIRLY this time! – Smissmas 2014 Meet Your Match Weapon Rebalances! ← Sir Donald Demoman’s Twenty-Nine Pipes of Gentlemannly Adventure!